I remember the last time I was in Miami, walking along the rows and rows of restaurants in South Beach, thinking “I really wish there was some great vegan or vegetarian restaurants.” It was next to impossible other than just the basic menu options. Fast forward and now, and behold PLANTA South Beach. We are pretty familiar with PLANTA here at KA, seeing as our offices are in Toronto, home of the original PLANTA in Yorkville, T.O. 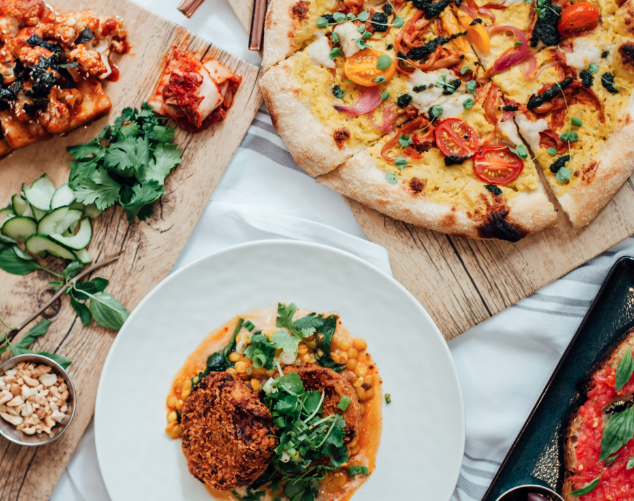 We could not be more overjoyed at the news that the Chase Group had teamed up with David Grutman, the Miami hospitality entrepreneur best known for LIV at the Fontainebleau, OTL in the Design District, and Komodo in Brickell. It’s a pretty heavy team and one that is destined for massive success. The future is plant-based and cruelty-free eating and PLANTA hits us with all the senses, tastes and flavors that we are looking for in our meat and dairy-free meals. Dishes include cauliflower tots, plant-based crab cakes, a burger (best veggie burger ever), coconut ceviche, and an “18-carrot” dog. The restaurant also offers a vegetable sushi bar and cold-pressed cocktails. The goal at PLANTA is not to sacrifice mouth-watering meals for plant-based foods. Even if you are not a vegan, you will be immersed into a new world of eating that will blow your mind and you won’t even realize you are eating plant-based. 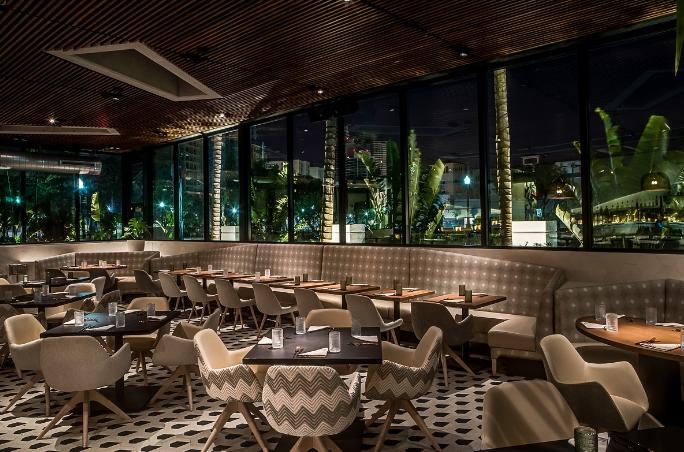 As PLANTA lovers, we highly recommend visiting the South Beach location next time you are in town – be sure to make reservations. Planta.850 Commerce St., Miami Beach; plantarestaurants.com. In July I had the most fantastic week in New York. It was mainly filled with editorial work/fun for KA Magazine and buying / fabric sourcing at Premiere Vision with my other half for the Kevin Allwood collection. I turned quite some heads the day we venture through Soho wearing the Kevin Allwood Atelier mesh dress from the 2016 spring collection. I remember the sales girl from Saint Laurent asking me – wow, where did you get your dress? Paired with my vegan leather bag and eco leather-free wedges by Melissa Shoes – it was a perfect afternoon. We stayed at the Morgans Hotel on Madison Ave in Midtown East and it was just right, monochromatic design by the fabulous Andrée Putman. Loved it. Especially the breakfast lounge, a fantastic way to start the day. While there we tried some amazing vegan restaurants….I would highly recommend Franchia on Park and just loved the vibe at Local Thyme at 286 Madison – perfect for quick and healthy. South Beach is a cool place right…all the sun bathers, great cocktails, over-indulgence and late night partying. But what a little bit of calm and wellness, detox and purification? Although Bali might be the first place you think of when self-care is concerned, Miami’s Royal Palm Hotel might also be a shorter plane ride option.